When you need garage door replacement services for your home in the Indianapolis area of Indiana, the best company to choose is 31-W Insulation. We’ve been providing homeowners throughout the southeastern U.S. top-notch installations of all manner of home exterior products since 1972, making us one of the most experienced companies in the industry. And, as a family-owned and -operated company, we understand your needs as a family and value your total satisfaction, which is why we make sure each installation is performed by our own trusted employees, who are proud to uphold our high standards. 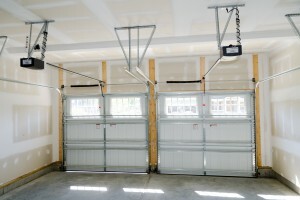 If you’re interested in using your garage as more than just storage for your car – for instance, as a workspace, playroom, or laundry room – our garage doors also come with a variety of insulation options. That way, you can conserve energy in keeping the interior of your garage at a comfortable temperature. For more information about our garage door replacement services available for your Indianapolis, IN, home, contact 31-W Insulation today.